It’s been 2.5 weeks since the NFL Draft ended so it’s about time that I find time to recap the Lions Draft. It may not be the majority opinion, at least if you care what the National Media thinks, but I really liked the Lions Draft. I’m not gonna sit here and say that it was perfect by any stretch of the imagination, but they took the time to address the trenches and I liked their picks a lot. In fact, 5 of their 10 draft picks were listed in my preview of 30 potential targets. The round may have been wrong for a few but that is not important…easily the most I’ve ever gotten correct. If we’re giving it a grade, which I hate to do so early in the process, I’m giving it a solid B/B+. 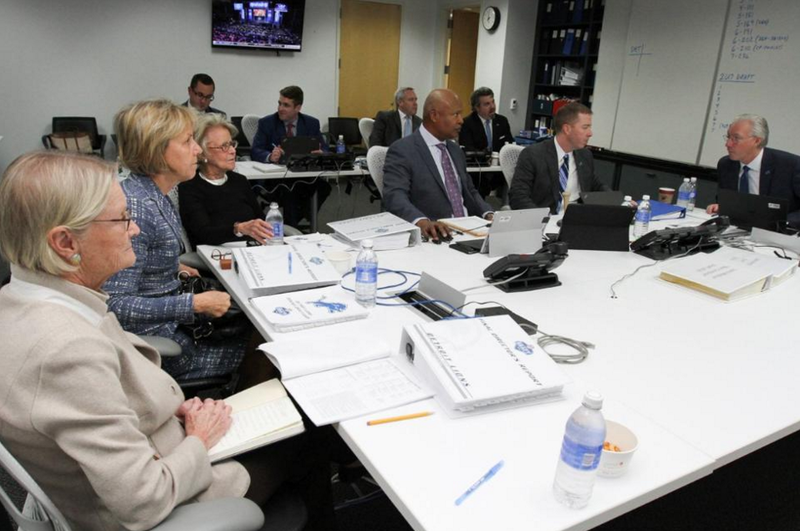 Going in to the Draft, it was tough to know what to expect with a new GM, but I’m a really big fan of what Bob Quinn did (probably because he picked 5 guys that I thought fit the Lions system and I liked). This kind of scares me, because I’m used to being frustrated with what the GM of the Lions does. It will be interesting to see how the roster is shaped and what direction they decide to go at some positions when they trim the roster from 90 to 53. Decker was one of the guys that I coveted at the 16 spot. I would have preferred a guy like Sheldon Rankins, but he had almost no shot of lasting that long and ended up going 12th to the Saints. Decker can play either LT or RT and I think he’s going to start his career at RT. He can tend to play a little high, but he will bring some stability to the right side of the line that was basically a revolving door last year. He also gives the Lions the option to let Riley Reiff walk after this year and move him to LT. He’s a solid pass blocker, but his run blocking ability is going to be what really helps the Lions. Their run game was anemic last year and any help they can get is going to be very big. I would expect the offensive line to look like this next year…with Glasgow potentially starting at center over Swanson. I know many pundits wanted the Lions to take a wide receiver in this draft and particularly in round one, but the Lions did the smart thing. They did not bother with a rookie WR and instead signed Marvin Jones. No one can replace Calvin Johnson and whichever rookie they drafted this year would be doomed before he ever started because the comparisons would never end. Robinson was a guy that I thought the Lions could take even in round 1 and thankfully he managed to fall to the Lions in the second round. They managed to fill two major needs with their first two picks and got what I believe to be two first round talents. Robinson will instantly be in the rotation and will likely be the heir apparent to Haloti Ngata who is heading towards the end of his career. Robinson is a big time space eater and run stopper and has pass rush skills that have shown up on tape. He’s a sneaky athlete and with some coaching, I think he can develop into a key starter. "They're going to set a tone in Detroit." Glasgow went much earlier than I expected, but I am quite okay with this pick. And no, not because he’s a Michigan player, but because of his versatility and size. It’s not often that you find a center that is 6’6″ 307 lbs and it’s not often that the same player can play guard. His versatility makes him a key backup and if he develops as a pass blocker, he could end up being a starter in the future. He has excellent quickness for his size, but will need to develop some more strength to be able to block the more talented players in the NFL. You’ll notice by now that the key theme amongst Lions draft picks is size, versatility, durability and experience. Killebrew is a guy that could end up playing a lot of linebacker or lining up in the box at SS. He’s an absolute hitstick at safety and his highlight reel is fun to watch. He plays very downhill and is going to contribute on special teams very early on. Despite the poor 40 time at the Combine, he shows good speed on tape and ran well at his pro day. He’s never going to be an awesome man-cover safety, but he can play in zone coverage and his tackling continues to be his best asset. Dahl is another versatile offensive lineman that played at tackle but projects more to guard at the NFL level. He’s not really athletic enough to keep up with the EDGE rushers that teams have, but he’s a good enough pass blocker that he should be able to shift inside. He’s used to playing in an air-raid offense, so his run blocking skills are a question mark in my mind. He’s a very good technician and is going to have to rely on technique and developing strength in order to contribute. Fortunately, he’s a scheme fit for the Lions. Williams was the first pick that I really did not know that much about personally. But from what I’ve read, he’s a guy that is very versatile and played a few different positions in college, including safety. He’s got good size (6’2″ 247) and he’s a pretty good athlete. It seems that he has trouble getting off blocks and tries to rely on his athleticism to make plays a little bit too much. My guess is that he won’t be much more than a backup linebacker and a special teams contributor. I thought that Rudock was going to be a player that the Lions targeted based on all the time that they spent with him, but I figured he would be the guy they used their 7th round pick on or tried to sign as a UDFA. Obviously they liked him enough to take him this early and while I don’t love the pick, I certainly do not hate it. Rudock improved as the year went on after struggling with his deep ball accuracy early on in the season. He did better with simplified reads and being coached up by Jim Harbaugh. My only concern is that his improvement was a product of Jim Harbaugh and not actually Rudock himself getting better. 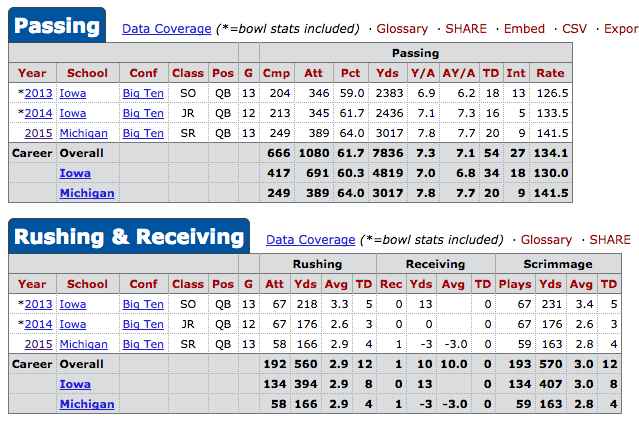 If you don’t know what I mean, look at Colin Kaepernick with Harbaugh vs Kaepernick without him. Will it really matter? No. If Rudock has to play this team would be screwed so if the coaching staff likes him, then more power to them. Also, if any of you Michigan fans start calling for Rudock to start if Stafford struggles, do everyone a favor and shut the hell up…because you obviously do not know anything about football. Zettel is a pick that I really like because of his versatility on the defensive line. He can either play as a 3-tech or a 5-tech on the defensive line in the 4-3 and that’s going to come in handy…really as a replacement for Jason Jones. He will be able to contribute in the rotation at DT and play the strongside DE spot opposite the pass rushers. He’s not going to be much more than a rotational guy in his first year, and who knows what the future holds. He will have to get better in the run game. He’s good at getting in the backfield and his a gym rat, his true impact could end up being at 3-tech on passing downs. This is a pick that I did not like nor understand. I’m not going to pretend to even be able to tell you anything about Jimmy Landes other than he has a trick shot video and that this probably means that Don Muhlbach is in trouble. The Lions won’t carry two long snappers and unless they think they could hide Landes on the practice squad, I think Muhlbach may end up getting cut. I don’t agree with that statement but this is a very Patriots thing to do. Didn’t love this pick, but he’s got some impressive size at 6′ 223 lbs and he ran a 4.43 40. For my money with Abdullah, Riddick, Zenner, Winn and Ridley already under contract, this pick could have been used on a different player to try to take a flyer on them. If Washington wants to make the team, he’s going to have to play on special teams, and I would say that this pick does not bode well for Winn or Ridley. He’s not a powerful enough runner to get past Zenner on the depth chart. Jay Lee is one of the names to know. I think that Lee will have a legit chance to make the roster. He’s a solid player and I think that Corey Fuller and TJ Jones are going to need to have some good camps. The only other player that I think has a legit chance to make the roster because of the guaranteed salary and signing bonus. Those are some very high numbers for a UDFA. This entry was posted in NFL and tagged 2016 Detroit Lions Draft, A'Shawn Robinson, Alabama, Anthony Zettel, Antwione Williams, Baylor, Chase Farris, Detroit Lions NFL Draft, Dwayne Washington, Georgia Southern, Graham Glasgow, Jake Rudock, Jay Lee, Jim Harbaugh, Jimmy Landes, Joe Dahl, Michigan, Miles Killebrew, NFL Draft Recap, Ohio State, Penn State, Southern Utah, Taylor Decker, Washington, Washington State. Bookmark the permalink.